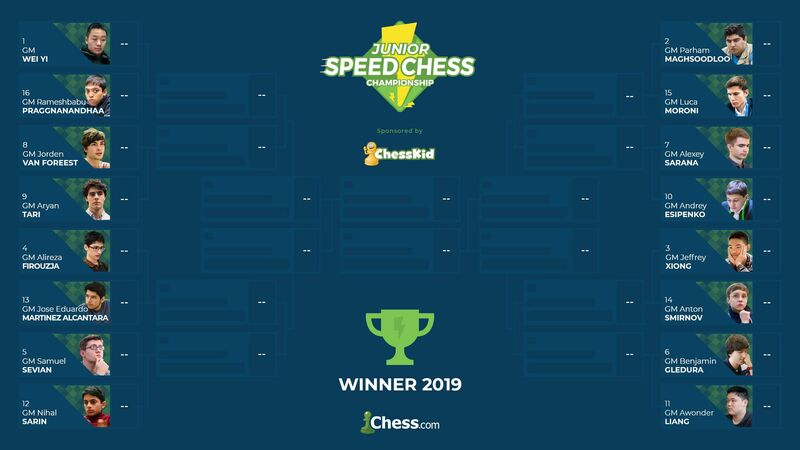 The Junior Speed Chess Championship kicks off May 16 at 10 a.m. PDT and will include 16 of the world’s top young grandmasters and a prize pool of $20,000. The winner of the JSCC will also earn a place in the main Speed Chess Championship and its additional $50,000 prize pool. The tournament is presented by ChessKid.com, the world’s top site for kids to learn and play chess. Each match of the Junior Speed Chess Championship will be broadcast live this spring on Chess.com/TV and Twitch.tv/chess, and will be hosted by the Chess.com commentators GM Robert Hess, IM Daniel Rensch and IM Levy Rozman. FM Mike Klein will join as a special guest representing ChessKid. Klein also announced that the winning CONIC alumnus of the inaugural ChessKid Games gets the first spot in next year’s Junior Speed Chess Championship.